There are many different kinds of batting gloves. There are some that have more grip and some with less grip. They can have more or less padding, more or less breathability, and some even have protection for your hands. There are also many different styles and colors. It can seem complicated so we've decided to make it real simple. We have split our batting gloves up into three categories: Good, Better, and Best. Just click the heading below for the category of batting glove that best fits your needs! -- These are good for your rec player or someone playing on weekends only. These batting gloves are really comfortable and cost-effective as well -- you don't have to go crazy to get a good pair. 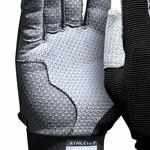 They are lightweight and breathable and feel great on your hands. There will be no bells and whistles on these batting gloves, but they will help give you a comfortable feel while holding the bat. These gloves are also a great choice if your child is just starting out because he or she will likely grow out of them within a year. They come in a wide variety of colors and sizes. -- If you are working toward getting better and taking the sport more seriously, these batting gloves are the way to go. They have more bells and whistles to them. They have a breathable lightweight design -- perfect for the player looking to cut down on sweat and get a better grip. They have a bit more padding in the palm so it doesn't hurt when you are gripping the bat. The perfect batting gloves for the kid who is making the step into travel baseball or softball. Great quality for the money that can't be matched. -- These are for players that are moving to a club team and are playing games all week long or are playing at the varsity high school level. These batting gloves look the part as well as protect your hands from injury and help give a better feel to the hitter up at the plate. These batting gloves will be the most expensive but will have all the bells and whistles, like air-vented breathing systems. You'll definitely get a year out of these!